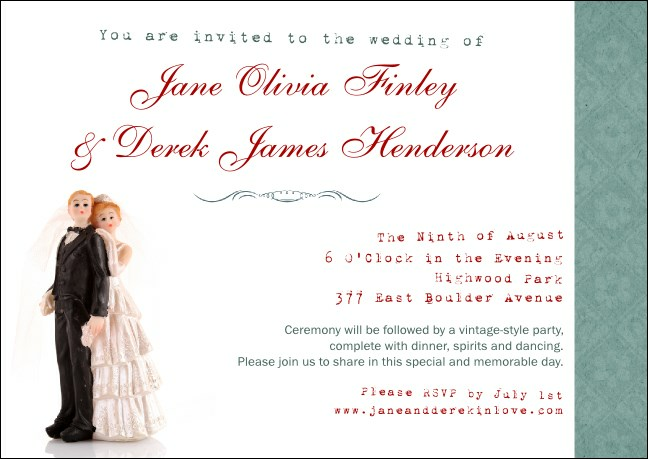 Invite friends and family to save the date with the Vintage Bride and Groom Postcard Mailer. Its charming mix of retro typefaces coupled with the image of a classic cake-topper tells everyone there’s a special wedding on the horizon. Pop your celebration’s details into the template and upload your guest list. We’ll handle the printing and mailing! Measurements are approx. : 4.25" x 6"
Hearing wedding bells? Share the date and time with everyone with TicketPrinting.com postcard mailers.